Due to a forecast of rain and possibly snow on Friday and rain on Saturday we will be opening the fire tower on WEDNESDAY, October 24. The leaves are starting to "pop" at higher elevations so it should be a beautiful day for "leaf peeping". Hope you can join us! 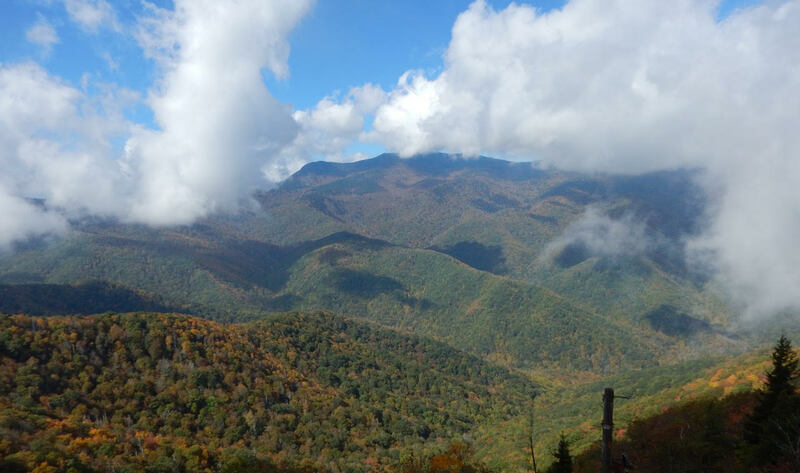 Join the NC High Peaks Trail Association for a special treat on Wednesday, October 24 when they host an open house at the Green Knob Fire Tower off the Blue Ridge Parkway. The tower – normally locked and inaccessible – will be open to all comers from 10 a.m. until 4 p.m. The tower offers tremendous views of Mt. Mitchell, the Black Mountains and the South Toe River Valley. The event also comes at what should be the peak of fall foliage season. Parking will be at the Green Knob Overlook, Mile 350.4 on the Blue Ridge Parkway. The access trail to the tower starts from the Parkway about 100 yards north of the overlook and is marked by a sign and a rustic set of steps with a handrail. Please be extremely careful walking along and crossing the Parkway, as passing drivers often speed or are distracted by the scenery. The trail to the tower is about a half-mile long but involves several hundred feet of climbing on rough footing. Although short, it is not suitable for the elderly or those in poor physical condition. Please bring layers of warm clothes as it can be quite windy and cold on the tower. Depending on the forecast, rain gear is also advisable. In case of bad weather this event may be cancelled. Check the NC High Peaks website, www.nchighpeaks.org, or Facebook page.